Quartz-surfacing countertops are 93 percent natural quartz mixed with coloring and other materials such as plastic resins. 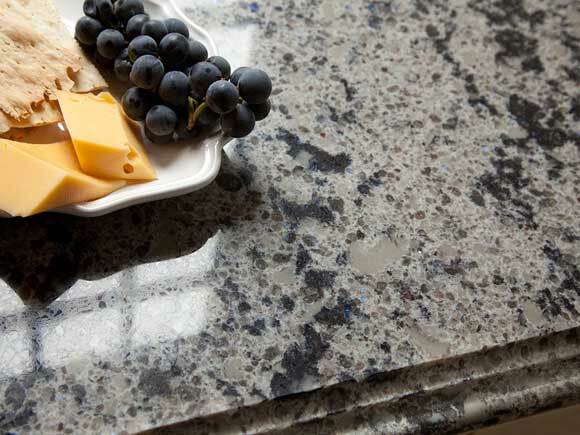 Besides being available in a broad range of colors and patterns, Quartz countertops also offer the hygienic benefit of being non-porous, and therefore, not a good breeding ground for bacteria. Quartz countertops start at about $70 per square foot. 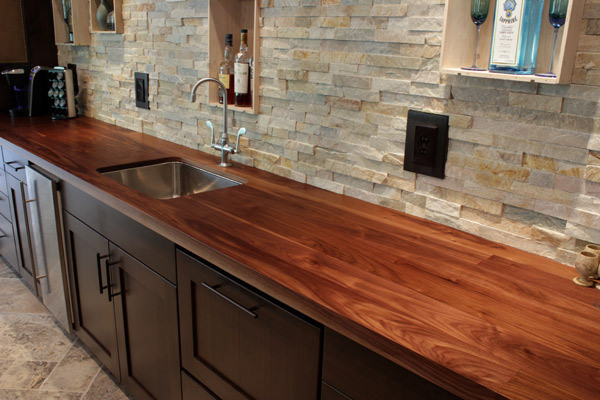 Wood is a naturally made material so it can give a very warm and organic feeling to any home’s kitchen. Wood surfaces are a smart decision for functionality when cooking. Preparing food is fast and easy, cutlery is protected against scratches, and clean up is simple. 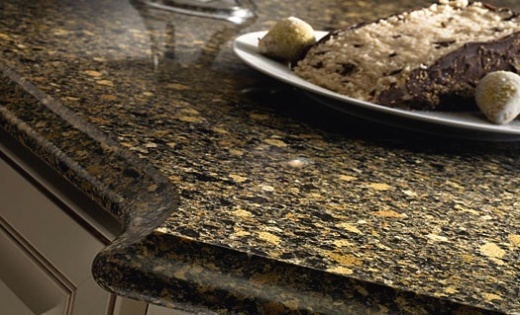 Granite is made from a natural forming quartz, mica, and feldspar. What makes it great for kitchens and floors is its non-porous quality, giving it protection against mold and mildew. It is also heat-resistant so it does not stain. Silestone is a material made from natural quartz, one of the hardest minerals available, making countertops scratch-resistant. Silestone is the only countertop material that is made with bacteriostatic protection, ideal for kitchens, bathrooms, and floors. 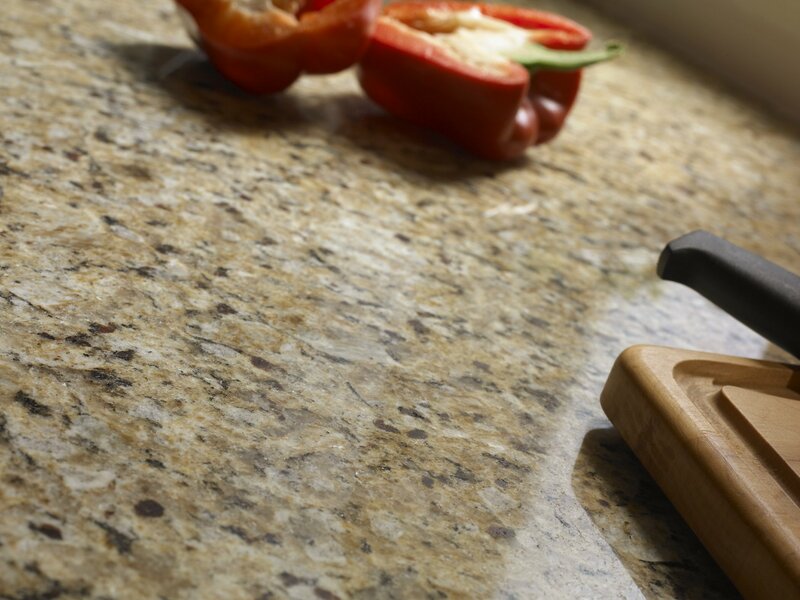 All quartz surfaces are made with nearly 100% natural stone embedded into the material. It comes in a large range of colors and textures. 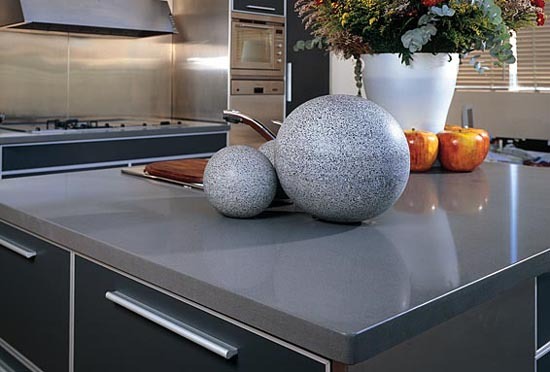 Caesarstone is a man-made Quartz related material. It is many times harder and more durable than natural stone, making it scratch and stain-proof. It is also available in a wide variety of colors and textures, so there are endless options to create the perfect tone for your room.